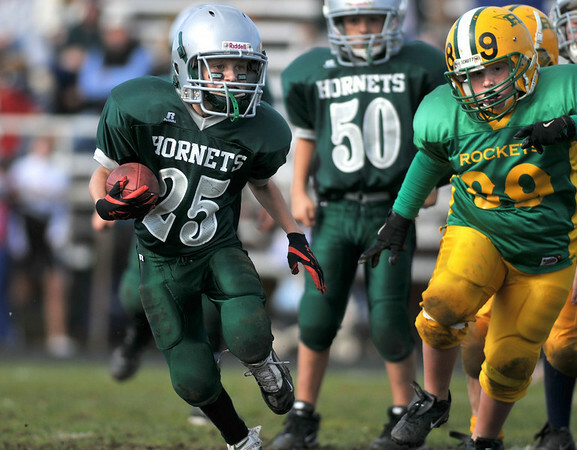 Gloucester: Hornet's C-Team's Jack Julian carries the ball up feild as Rocket's Ryan Sanfilippo gives chase in Sunday's Pee Wee Football games at Newell Stadium. Desi Smith Photo/Gloucester Daily Times. November 1,2009.